A beautiful morning but supposed to be heading up to 85F today. Yikes. That's early for those kinds of temps. It's supposed to rain then and cool us off tomorrow. We shall see. 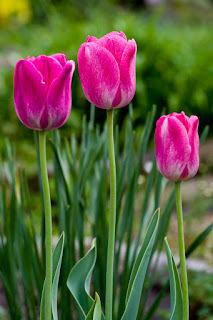 My only tulips this year to do well were my red group out front and then the pink ones in the back yard. 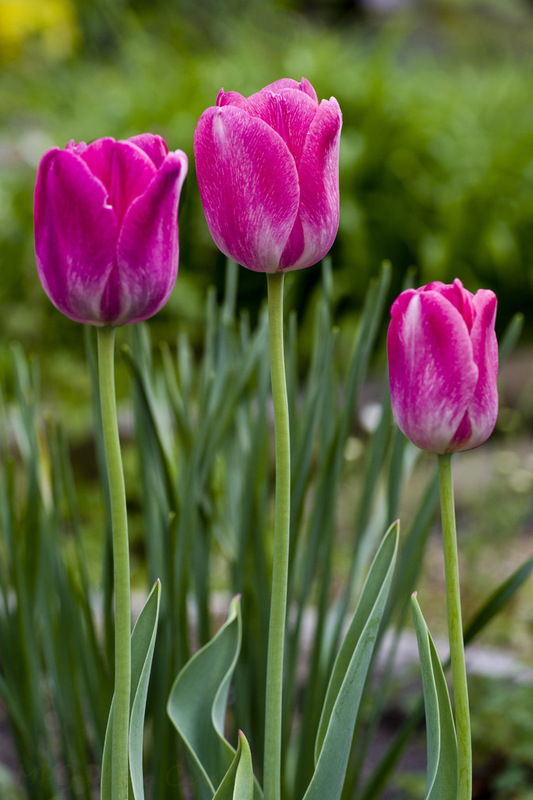 These tulips are interesting because the blooms change color as they mature. When they first emerge they are almost white but as they grow older they become a deeper pink. You can tell how far along they were when I took this image of a lovely trio of them.